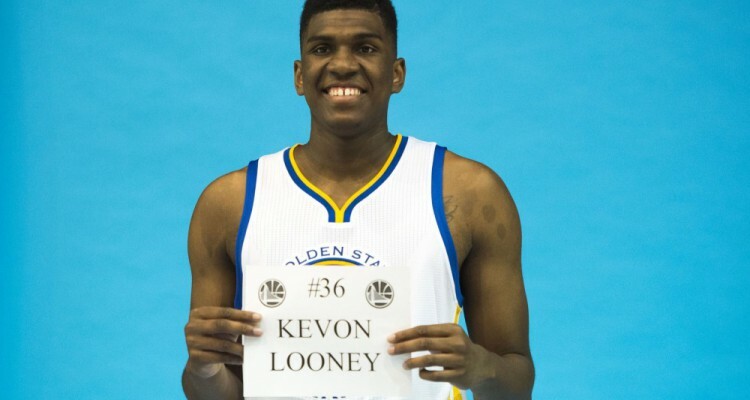 For all intents and purposes, I’m basically considering Kevon Looney a rookie for this season along with Damian Jones and Patrick McCaw. Looney did play in 5 games last season with the Warriors, but that’s hardly enough of a sample size to really know what type of player you’re dealing with. In fact, Looney appeared in just 21 total minutes last season, so his entire body of work encompasses about 1 game for a rotational player off the bench. The numbers were pretty impressive if looked upon from that perspective. He scored 9 points, grabbed 10 rebounds, and went 4-7 from the field, including 1-2 from 3-point range. The extremely small dose makes Looney both an intriguing player from an objective statistical standpoint, but he’s also somewhat of a mysterious component. Nobody’s really sure what the team has on their hands, simply because he barely spent any time out on the court. Being drafted by the Warriors is both a blessing and a curse. 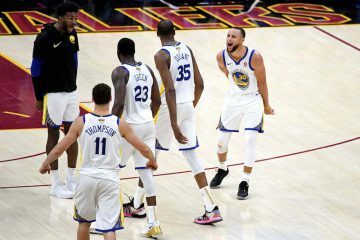 The positive aspect is that you get to achieve the incredible team success in a competitive league whether victories should never be taken for granted. The negative aspect is that with such a talented roster, it’s hard to establish yourself as even a rotation guy, let alone a core player. 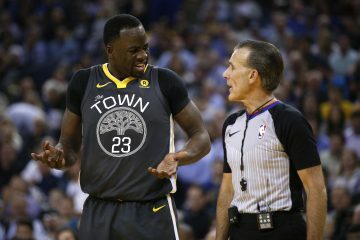 I’m looking over the roster right now, and even if Looney does manage to stay healthy for the course of the season after his multiple hip surgeries, there’s just not many opportunities for him to get a lot of playing time. He’s versatile enough to play either forward position, but minutes off the bench at either spot aren’t going to be easy to come by. Andre Iguodala is this team’s most crucial player of the bench, and on a team with Shaun Livingston, that’s really saying something. David West is 36 years old, but he’s an absolute bruiser on both ends of the court. He’s still got a lot left in the tank, and he’s probably going to get the majority of time as the reserve power forward. In terms of that hybrid forward reserve, the team might be more willing to give James Michael McAdoo time over Looney, just because McAdoo has a larger sample size to work with. Both guys are 6’9’’, but McAdoo is listed at 240 LBS while Looney is listed at 220 LBS. Nice depth is a very good problem for a team to have, but it means not everybody is going to be utilized to their full potential. Of course, it’s really not clear how Looney projects as a player. Hip injuries are a serious ailment, and a lot of explosiveness could be gone compared to what he could do at the peak of his powers. He’s a fascinating prospect, though, and he has a team option for about $1.2 million for 2017-2018 that will largely be dependent on not only whether he can stay healthy, but whether he is able to elevate his performance against other young players on this roster within his sphere. Looney is from Milwaukee, Wisconsin, and played high school ball at Alexander Hamilton High. As a freshman, he was already getting heavily recruited by colleges in the state like Marquette and the University of Wisconsin. As a high school senior, he played point guard and averaged a remarkable stat line of 27.9 points, 12.7 rebounds, 8.0 blocks, and 7.0 assists. He was named both a McDonald’s All-American as well as a Parade All-American, won Wisconsin Mr. Basketball, and was named the top player in Wisconsin by both Gatorade and the AP. Past winners of Wisconsin Mr. Basketball have included NBA players like Devin Harris and Wesley Matthews. Unlike those two guys, however, he decided to go out of state for college, choosing to enroll at UCLA. He suffered a hip injury before the regular season started, but went on to start all 36 games and average 11.6 points per game, 9.2 rebounds per game, 1.3 steals per game, and shoot 41.5% from 3-point range as a power forward. He was excelling despite not having many plays called for him within the offense. A lot of it was energy and grit, but some people were projecting him as a potential lottery pick if he left school after his freshman season. 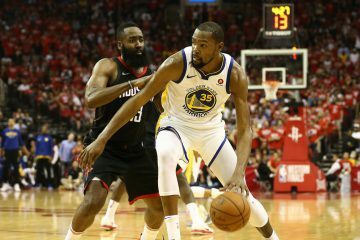 He decided to do just that, but the buzz surrounding his hip problems contributed to him falling to 30th overall in the 2015 NBA Draft, where the Warriors finally selected him. He underwent surgery in August of 2015 to repair a torn labrum, and he was sidelined until January of 2016. He played 5 games in the D-League before being called up to the NBA by the Warriors later in January. In March, he suffered inflammation in his surgically repaired hip. About a month later, he had surgery on another torn labrum, but this time it was his left hip instead of his right hip that he had previously had surgery on. 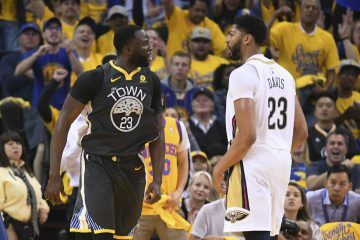 The Warriors have a talent on their hands, but after multiple hip procedures on each side, there’s a lot of question marks. The good news is that apparently he feels great after the surgery, which was originally supposed to keep him out for 4-6 months. That left a late September return for training camp a realistic goal, and he’s now cleared for full practice, which is extremely encouraging. Multiple procedures on a hip will certainly lower a team’s expectations, and it’s going to seem like a steal if they can get any type of meaningful production from the very adept Looney. There was a reason he fell to 30th in the draft, but he was also projected to be a lottery pick before the injury concerns. The Warriors gambled on him, but at that stage in the draft, you’re really looking for value above all else. If Looney is able to make a strong recovery from the hip surgeries, he has the skill to meaningfully contribute to this team. It might not be a very big role this season, but he can be yet another quality depth guy off the bench. You hate to see a player not reach his potential because of injuries, and we’re wishing Looney the best of luck.